Be the first to share your favorite memory, photo or story of Yevette. This memorial page is dedicated for family, friends and future generations to celebrate the life of their loved one. Mrs. Yevette Martha Jane “Fat Mama” Williams Mobley was born January 14, 1954 in Little Rock, Arkansas to the late James E. Williams and Martha C. Wideman Williams Tillmon. She was the seventh of nine children. Yevette transitioned on Wednesday, January 23, 2019. Three siblings preceded her in death: Curtis A. Williams, Regina L. Williams and Julius J. Williamson. Yevette was a member of Nina Street Church of Christ under the leadership of Bro. Jodie T. Carter. She was known for her honesty and boldness. She was very outspoken. She loved to dance and have family gatherings. Yevette was a very generous person and would give you her last. She opened her home to family and friends and could always be counted on to give help and support. She was no stranger to hard work and demonstrated so by working several jobs at one time to ensure the family needs were met. Yevette received her Associate Degree from Pulaski Technical College. She retired from Little Rock School District after many years working as a paraprofessional. She also worked for Young’s Fish Market on the weekends and during summer breaks. She leaves to cherish her memories, husband, Walter Mobley; son, Tony Van-Ness Williams (Deyonka); daughters, Carisse L. Smith and Latoshia R. Love; siblings, Gloria A. Scoggins (John, deceased), Dorothy A. Phillips (Napoleon), Helen M. McCraw (William), Donald Ray “Paul” Williams (Cathy, deceased) and Jack L. Williams. Her greatest joy were her grandchildren, Kiera Parks, James A. Smith III, Brionna Cooper, Kevin B. Romes, Jr., Kaylon Love, Jayden Smith, Jayson Smith, London Rawls and Braylon Williams; seven great-grandchildren and a host of nieces, nephews, cousins, other relatives and friends who shared her sense of humor and loving nature. Homegoing services will be held 11:00 am, Saturday, February 2, 2019 at First Baptist Church, 811 S.A. Jones Drive, North Little Rock, AR. Visitation 5:00 pm - 7:00 pm, Friday, February 1, 2019 at the funeral home. Interment 11:00 am, Monday, February 4, 2019 at Ar State Veterans Cemetery, 1501 W. Maryland Avenue, North Little Rock, AR. To send flowers or a remembrance gift to the family of Yevette M. Mobley, please visit our Tribute Store. 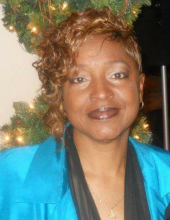 "Email Address" would like to share the life celebration of Yevette M. Mobley. Click on the "link" to go to share a favorite memory or leave a condolence message for the family.